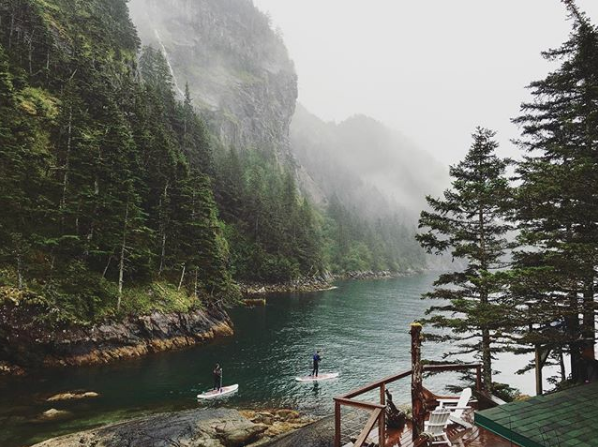 Stand up paddle boarding is a great way to explore and enjoy the coastline near Orca Island Cabins a new perspective. Along with Kayaks and rowing skiffs, paddle boards are available for our guests to use at any time during their stay with us. New to stand up paddling? It’s easy to get a full body workout and because you are standing up, you get a higher perspective of the water below than from a kayak or boat. You can start out by paddling around on your knees to find your balance, but most people find themselves on their feet paddling within a short amount of time.